I love a good chunky heel pump! They are easy to wear and look good as well. 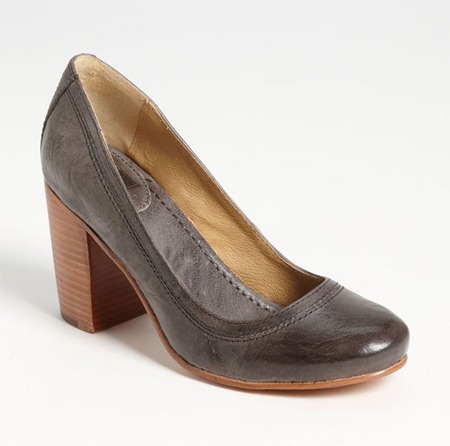 The Frye Carson Pump fits the bill perfectly with a 3 and 1/2 inch chunky heel and all leather upper. It comes in multiple colors.